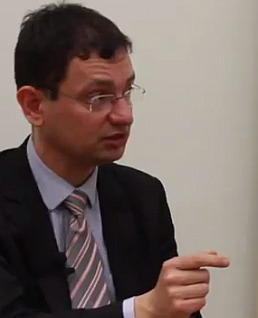 Nicolas Vèron is one of the foremost experts on the European Banking Union. He is Fellow of the Peterson Institute for International Economics, Washington and a Founding Fellow of the well-known Brussels think tank Breugel. Under the title “Banking Union: Next steps on a Path of Collective Discovery”, Nicolas Veron gave an excellent presentation for the wiiw seminar series Policy Perspectives for European Integration. In a video interview with wiiw Scientific Director Michael Landesmann, he makes the case for the European Banking Union.